Home / London Grammar / London Grammar Return With "Rooting For You"
London Grammar Return With "Rooting For You"
British trio London Grammar released their spine-tingling new track and performance video for “Rooting For You.” “New Year, new music” the band simply stated on their Facebook, Instagram and Twitter from Australia where they had headlined on New Years Eve at the annual Falls Festival in Byron Bay. “Rooting For You,” is the first piece of new music to come from the band since 2014 and is available worldwide now on all digital platforms. Their breathtaking new performance video — directed by BISON — is available via the bands website www.londongrammar.com and can also be viewed here. 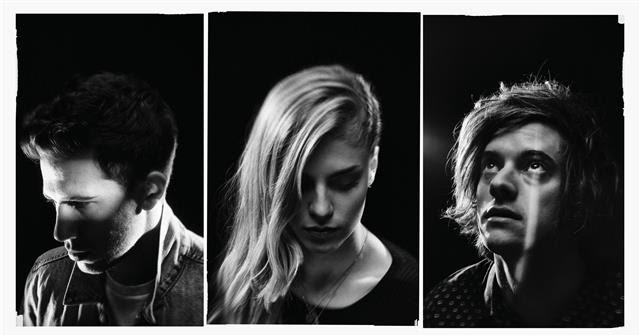 London Grammar emerged in 2013 with the release of their critically acclaimed debut album, If You Wait, and quickly went on to becoming one of the most exciting international breakthrough acts of recent times. Winning a prestigious Ivor Novello Award for their hit single ‘Strong’ and being nominated for a BRIT Award, the trio have since sold-out multiple headlining tours worldwide and have performed on high profile US TV shows such as ABC’s Jimmy Kimmel Live!, as well as the former NBC’s Late Night With Jimmy Fallon and CBS’s The Late Show with David Letterman back in 2014. “Rooting For You” is available on iTunes, Apple Music and Spotify.